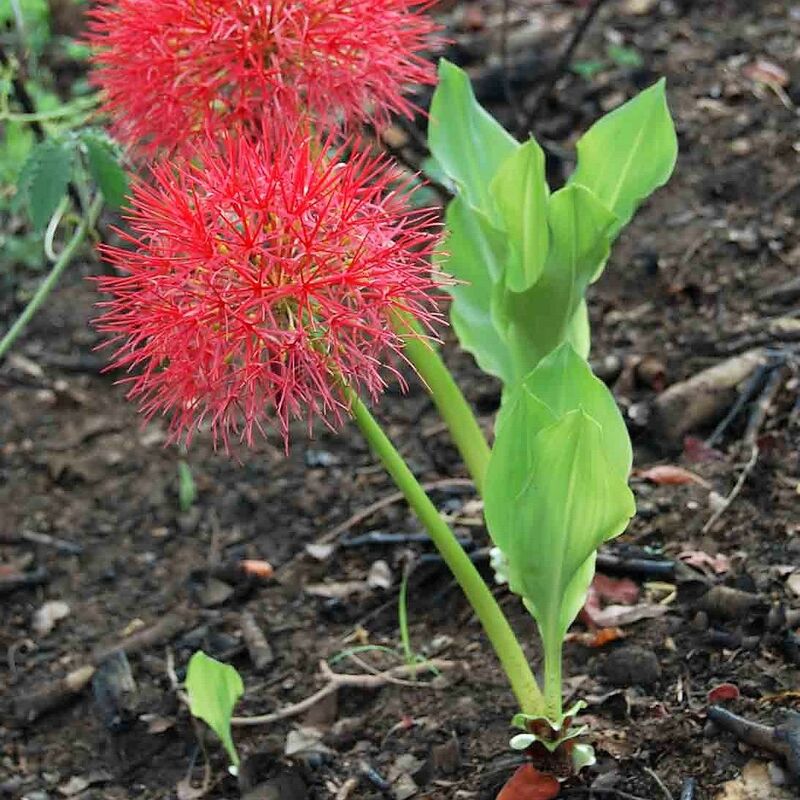 Also known as Blood Flower, Catherine Wheel, Poison Root. 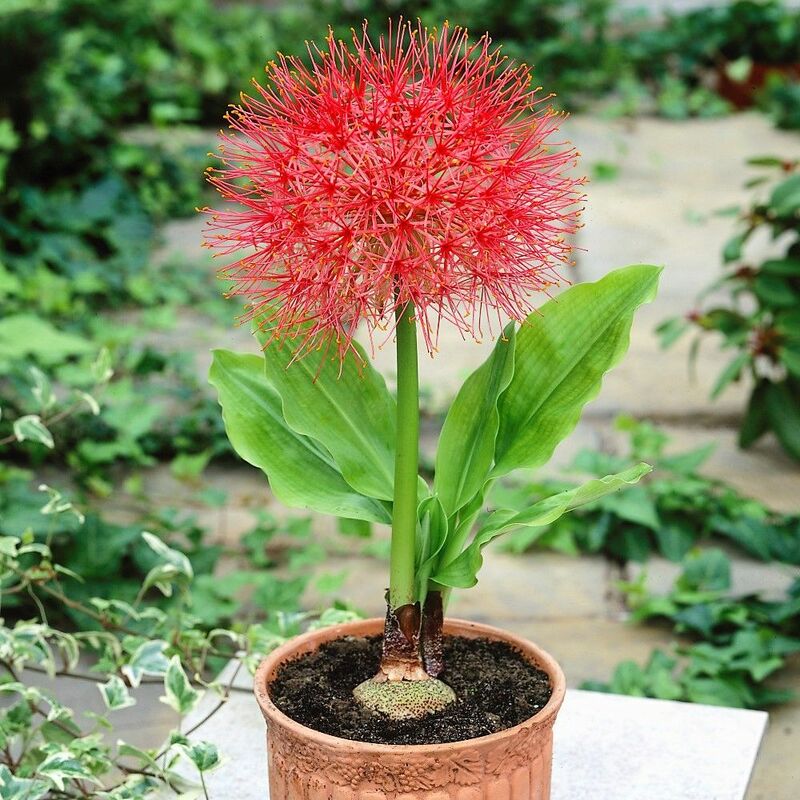 An explosive round head of vermillion red fragrant flowers sits atop a fleshy, thick spring green stem. 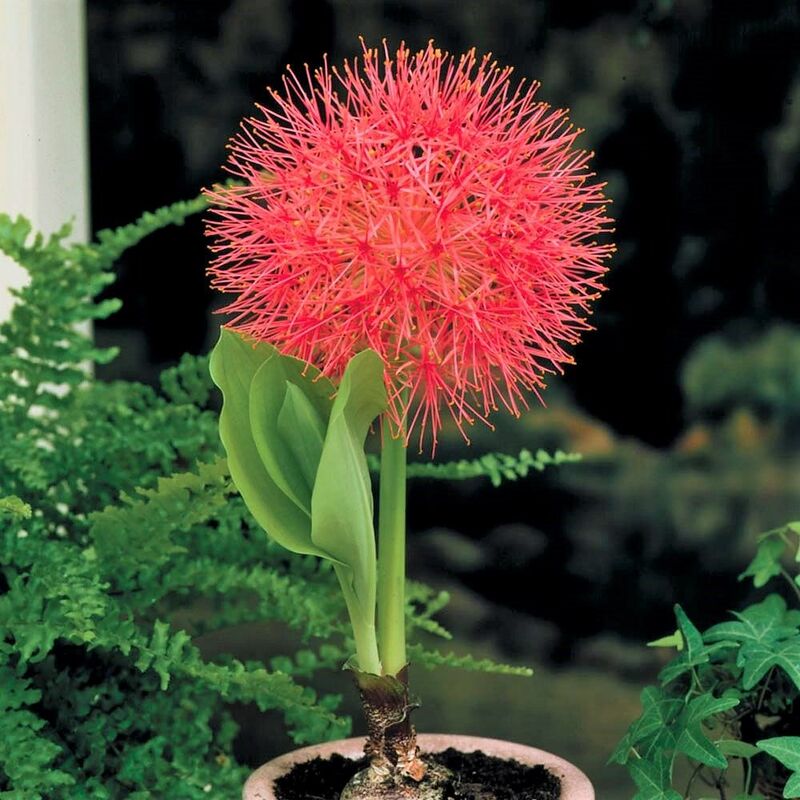 Exotic banana type foliage encircles the flower head seemingly symmetrically. 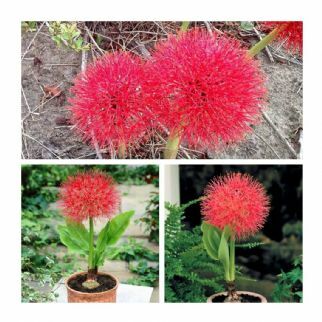 The Scadoxus is found predominantly in tropical Africa, and it comes as no surprise that it prefers plentiful water and a well-drained soil. 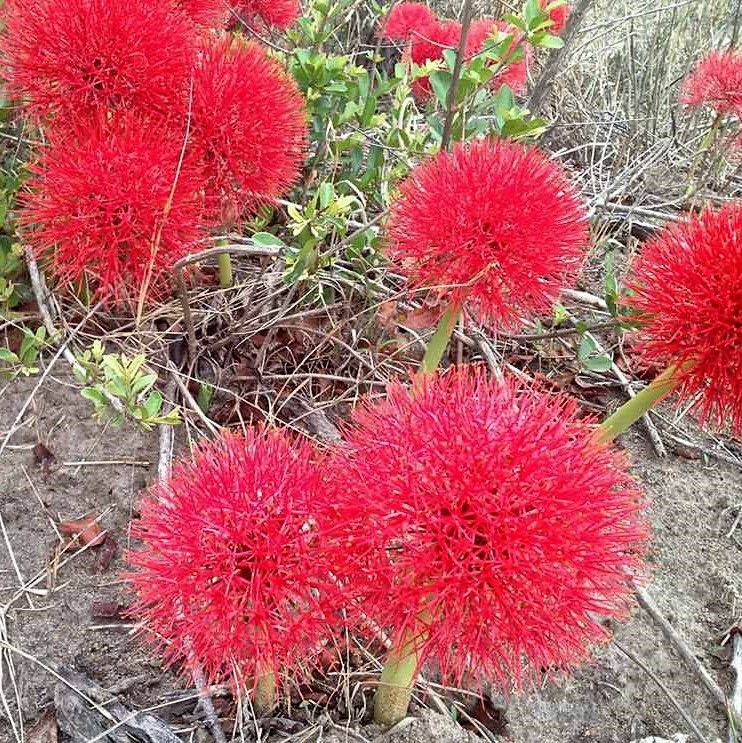 The Scadoxus enjoys half-shade and will even thrive in the most shaded areas, and are well-known for being easy to grow.